MAXIMIZE PRODUCTIVITY. ENHANCE YOUR IDENTITY. Design cultivates culture, culture forge values; values define the future. It is, therefore, fair to say that design unquestionably shapes our future. At 3 Fingers Design Studio we are set afoot by the desire to create an extraordinary working environment that will be a productivity motivator for your employees in London, UK or overseas. Certainly, our lives are often influenced by the surrounding. This is what motivates us to design and create workplaces and office interiors which will enable employees to work in comfort. The dynamism and creativity we embrace in developing the workplace interior design are all geared towards making it convenient to the employees and in making them more efficient and productive. Moreover, all this will be determined by your needs and will unquestionably be designed to suit your budgetary allocation. Simply put, we bring your dream workplace and office environment to reality. Our primary goal lies in establishing intelligent workplaces that are loved by employees and appreciated by all. We do everything from consulting, designing, executing to managing the overall project from start to finish. The outcome will be a revivified and nifty workplace or office guaranteed to exceed all expectations. Our cost management approach to workplace interior design and office design permits us to ensure that the project does not exceed the budget. We have an efficient cost control process that ensures that the whole exercise is within the stipulated budget. We converge our attention on the most crucial areas that matter most while relegating non-essential aspects to abide by the budget. Our team will work around the clock to ensure that the project is actualized to your expectations. Additionally, the project outcomes will be geared towards improving employee satisfaction and productivity. At 3 Fingers Design Studio we discuss with you to determine your ideal expectations and needs, then embark on space design and planning. After your approval of our creative concepts in 3D visualisation, we then proceed to create an innovative and eccentric office workplace that will blow your mind. The first step does not entail any obligations. This is the stage in which the parties meet to discuss and understand the workplace strategy. The aim here is to understand your business culture and to establish a work environment that will reflect it. At this stage, a feasibility study is carried to discern the efficacy of the project. Additionally, it is at this stage that the budget of the project is agreed on. It is at this stage that a judgment is made on whether to progress to the next stage. This stage entails the development of a concept plan that will be in sync with the agreed space plan. The plan will be developed to suit the company brand and enhance its corporate identity. This requires a coherent understanding of workplace strategy and the future growth plans so that they are incorporated. Certainly, a project that is sufficiently planned for is already half done. The space plan now gets a life of its own. 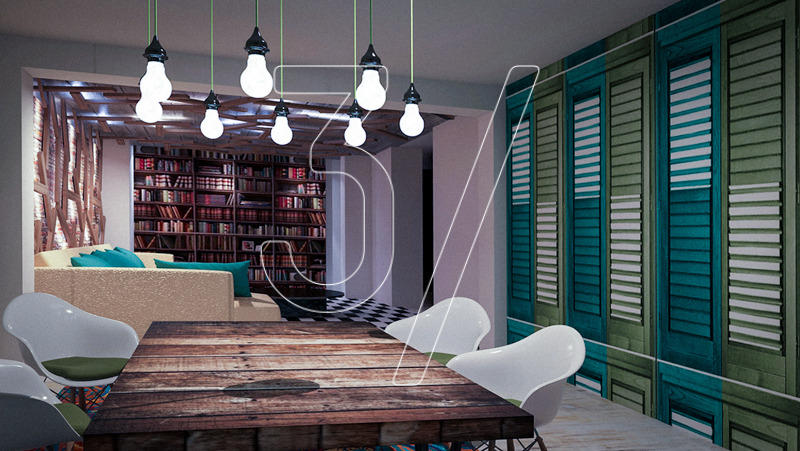 Through some 3D visualisations, you can get a synopsis of how your office will ultimately look like. This provides room for advice to be provided on the actualisation of the designs. Moreover, design integrity is pursued to comport with the stipulated budget. At this stage, the delivery plan is crafted to take into account any activities and challenges. A documentation of the same is made to ensure that it will be adhered to for effective delivery. Having a clear delivery plan that has been mutually agreed, the project will be delivered to ensure that it suits your requirements. Get in touch to discuss your brief and to get a more detailed scope of our WORKPLACE ARCHITECTURAL AND INTERIOR DESIGN services.